What’s happened to Kim Zolciak of RHOA? And let’s consult the cards. Trouble has been brewing for a while now with Kim Zolciak of ”Real Housewives of Atlanta” fame. 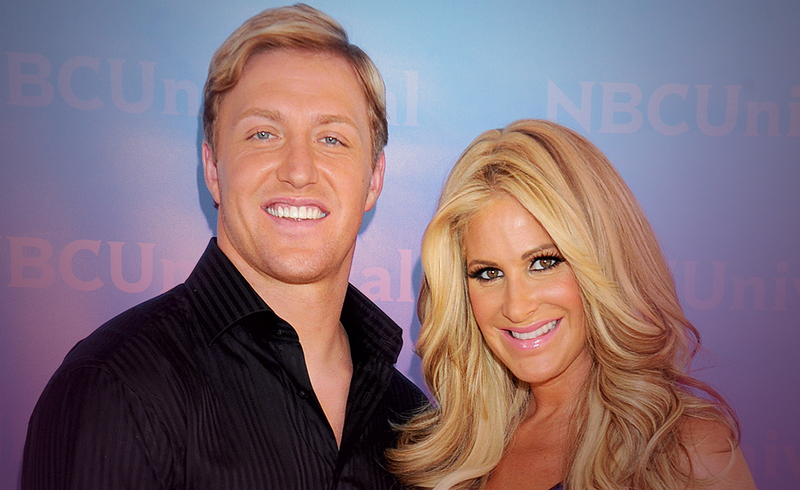 She and Kroy Biermann have, after a brief reunion, decided to split again. It’s been less than two weeks since they got back together, and all is not well in the camp. It could be that his pressure is stemming from the fact that he was cut from the Buffalo Bills. A cut that was quite abrupt. This would bring pressure on the strongest of relationships. But as theirs was already in stormy waters, it apparently was the straw that broke the camel’s back. Head coach, Rex Ryan cut the team down to the league mandate 53 players over the weekend. And according to the teams’ website it said : “Veteran OLB Kroy Biermann did not make the cut after signing with the team, midway through training camp.” I would imagine there isn’t a couple out there who can’t relate to this in some form or other. One person is out of a job and their stress levels resonate throughout the relationship. Zolciak was recently quoted saying she loved her chunky legs. This was after getting some negative feedback when so called fans tried to body shame her. Well done Kim. It sends out a powerful message as to how those bodyshamers should be handled. Take back the power is my motto, and as they tend to hide behind keyboards that is easily done. What do the cards say is in store for this troubled couple now? Let’s read for Kim Zolciak. The Six of cups point to the love within the family unit even now. The children are your focus Kim, as the quiet rightly should be. Adult problems need to be addressed sensitively around them. But overall, they appear to be happy children. The four of wands is about keeping your life in balance Kim. Allowing stress to take over would be a mistake. Stepping back from a situation which is causing you stress until it can be approached quietly and calmly. This is the better option. More ground will be covered, more emotions discussed, and it’s easier to get your opinion across. The Three of Cups is the strong possibility of another reunion. Perhaps, a break is needed to gather your thoughts. But the three of cups is not a card of a lonely heart. This leads me to believe that all is not lost. There is plenty of room for building a bridge over this once things quieten down. Let Kroy get his thoughts together and rethink things without the drama. We wish you both the very best with your outcome on this Kim and Kroy. Previous ArticleChristie Brinkley and John Mellencamp. Did politics get in the way of love?Next ArticleWhat have the Doctors told pregnant Janet Jackson?